In 2011 CP sponsored the World Junior Hockey Tournament in their hometown of Calgary. As a sponsor they had TV airtime but wanted to use it to produce some creative that would strengthen a recent weakened relationship with Canadian Wheat Farmers. The commercial tells a story of two brothers symbolizing the relationship between CP and Canadian grain farmers who have “grown up together” over the past 130 years. The spot continues to find fans on YouTube and for Jeen O’Brien’s music track “All my Life”, an original song we commissioned for the commercial’s story. PRINT Focused on WJH sponsorship running in programs at the event. Based in Vancouver, the BC Chapter of the American Marketing Association holds a Vision Conference every year. It’s a one-day event of thought-provoking speakers targeted at modern marketers to challenge and inspire their thinking. 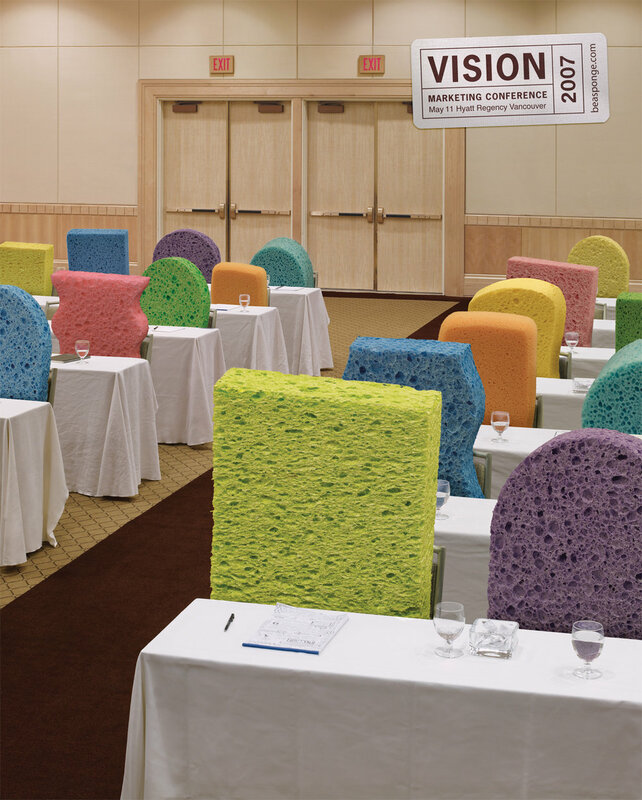 They wanted a campaign that would communicate this and encourage marketing people to attend the event. 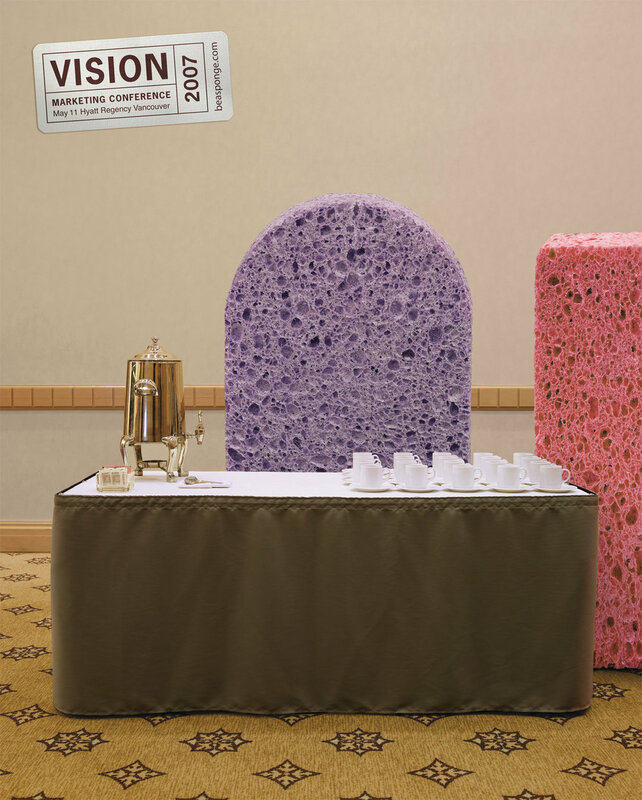 The “Sponge” campaign was the most successful and most talked about promotion for the VISION Conference since it’s inception. Attendance rose 13% from the previous year and 41% of those attendees were non-members of the BCAMA and outside the scope of the association’s normal marketing efforts. Plus, on the day of the event everyone was still talking about the sponges. In 2010, Rethink wanted to do something more than a traditional Christmas card and use technology and social media to connect with clients and partners on an individual level. We created an 11-hour livestream event in an era where this wasn’t an existing function on Youtube and Facebook. On a microsite, clients could request a song, from various genres, our writers would customize the song on the fly, then our singers (loose term) performed them and we streamed it live to a microsite. Every genre had a set change which we put on wheels. The Rethink crew was an incredible well oiled machine making it happen. We got hundreds of requests all day long. Each custom song was posted to a special Youtube channel which was one of the highest viewed that day.